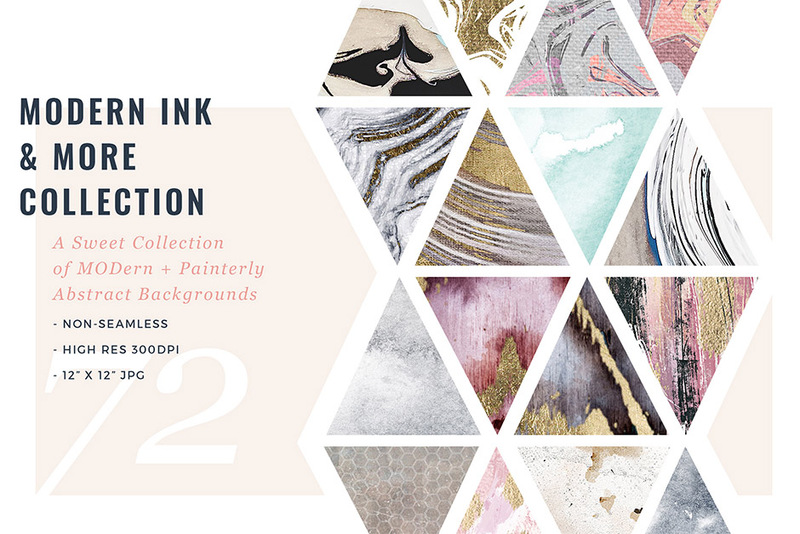 Modern Ink More Patterns Collection	By: Feather & Sage Design Co.
• (72) High resolution .JPG non seamless pattern files (12″x12″, 300ppi) than include (48) unique designs. • Bonus (48) High resolution at 300ppi, (24) pre-made portrait sized (1170x1760px) & (24) square sized (1170x1170px) formatted backgrounds ready for you to insert your copy or showcase your hand-lettering or design. (72) High resolution .JPG non seamless pattern files (12″x12″, 300dpi) than include (48) unique designs. Bonus (48) High resolution at 300ppi, (24) pre-made portrait sized (1170x1760px) & (24) square sized (1170x1170px) formatted backgrounds ready for you to insert your copy or showcase your hand-lettering or design. File size is approx 667MB (670.4MB unzipped), offered as a single download.